This is a simple plugin that highlights all words that match current word under cursor (see screenshot). After installed successfully, load the plugin in Geany's plugin manager. As soon as the cursor is moved on a word, all occurences of that word will be highlighted. 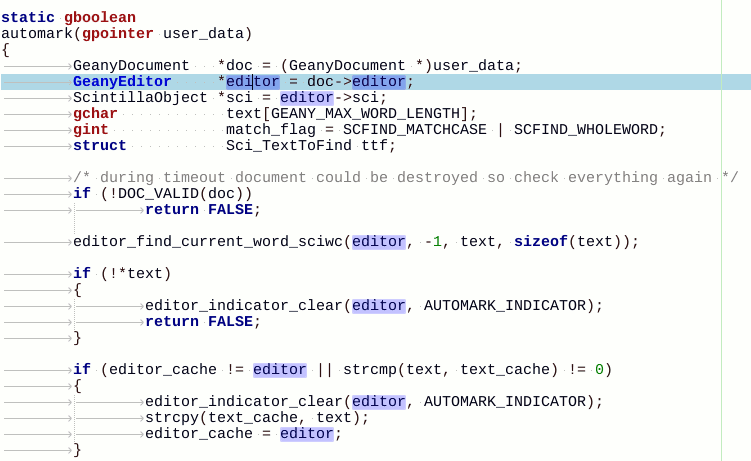 The highlight color is "marker_search".